We love new cars here. We’re not ashamed of it. They smell nice. They’re generally greener and safer too. They often tend not to come with ugly custom body kits, or a “My other ride’s your daughter” bumper sticker as standard. Those of us who’ve dipped our toes into the used car market more than once will have come across a variety of frankly criminal additions to cars. With this in mind we’ve collected a few of the things we’ve seen that make us sigh/laugh/swear. We get it, we get it. You could be involved in a minor road accident that really messes up your 2005 reg car and the only replacement the garage repairing it can offer is a red door when you’ve got a blue car. You need to be back on the road ASAP and at minimum cost so you resignedly say yes. We’ve all been there, and we can sympathise, so we know first-hand that it still looks awful. On the road it makes it look like you’re some Mad Max-esque forager, although that does have its bonus points as most people will avoid you like the plague on the road and in car parks. 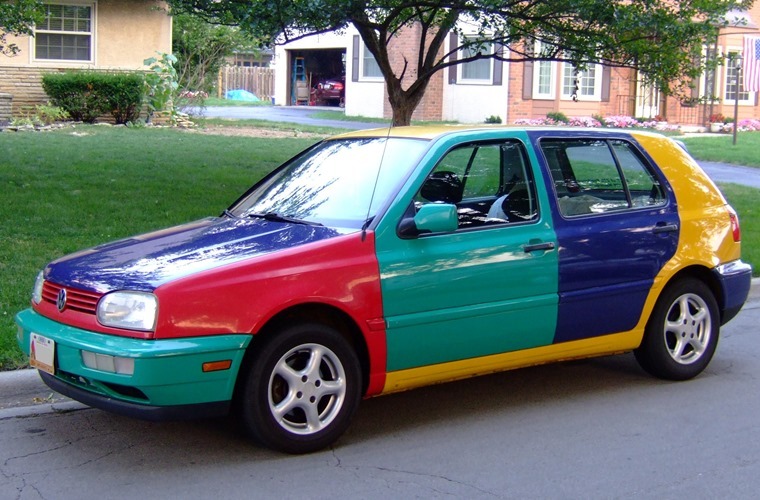 Bizarrely, one of the designers at Volkswagen in the mid-90s must have seen some poor soul driving a green car around with a yellow boot and thought “Niiiiice” because they decided to release the Volkswagen equivalent of a patchwork quilt in 1996 (the VW Golf Harlequin pictured above). There are no words. Like most things in the automotive world, everything is subjective. 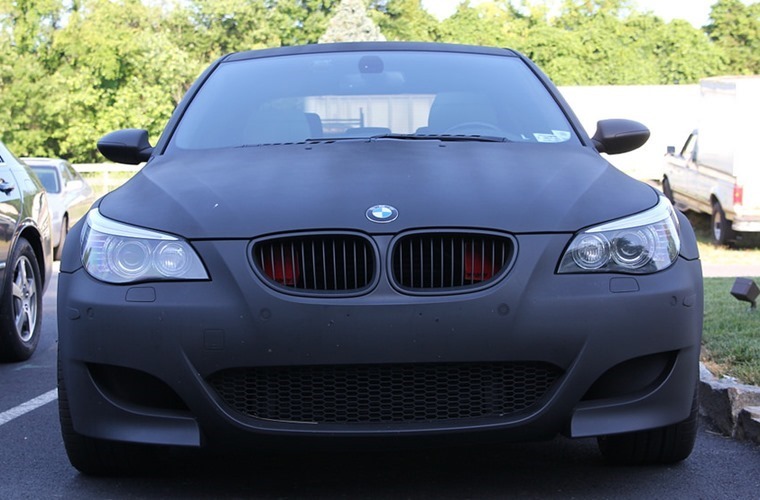 Matte paint though? You’ll see them occasionally on the road, and my impression is always that it looks like someone got a bit bored of having a neon green car so coaxed their infant child into pinching a few pots of powdered black paint from school, picked up a brush and went to work. Cars are supposed to be sleek, they’re supposed to be shiny, it helps to announce their arrival. Taking all that away for some statement-that-isn’t-much-of-a-statement just negates the point and makes it look classless and cheap. Paradoxically matte costs more than your average glossy paint car and it also requires more maintenance. On top of that,the matte finish is often just a cheaper vinyl wrap and not paint. Either way, no matter what you spend on the finish, that money can’t buy you class. It’s not though is it? It’s powered by petrol or diesel or LPG or electricity. We get it, you’re cute and your pink Fiat 500 is cute and your furry pink steering wheel is cute but let’s not lie. 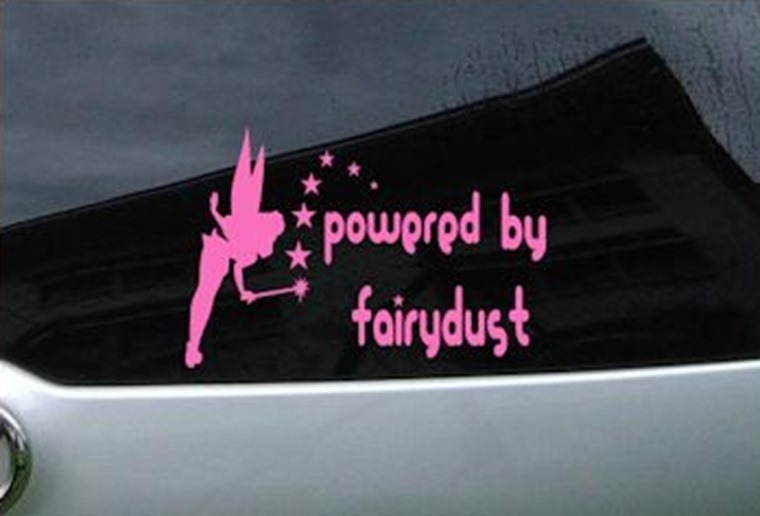 Let’s not pretend your car is powered by some magical powder that Tinkerbell has sprinkled over it with her magic wand, because if that was the case you’d be able to fly and then you could feck off to Never Land never to be seen on the road again. I will never forget the first time I saw a car with a lighted underbody. It was a Subaru Impreza and the lights were an icy blue. It appeared, loud engine grumbling, crawling down a street at 15 mph like some tacky alien spaceship running out of fuel. And since that day I’ve felt nothing but disdain. I have seen them fitted on limos filled with screaming 16 year olds going to prom and on limos filled with screaming women on a hen party. This has only served to make underbody lighting more tacky and grim than I thought possible. I guess my issue comes down to the fact that the owner is literally saying: "Look at my car, it has lights underneath! How cool am I?!" 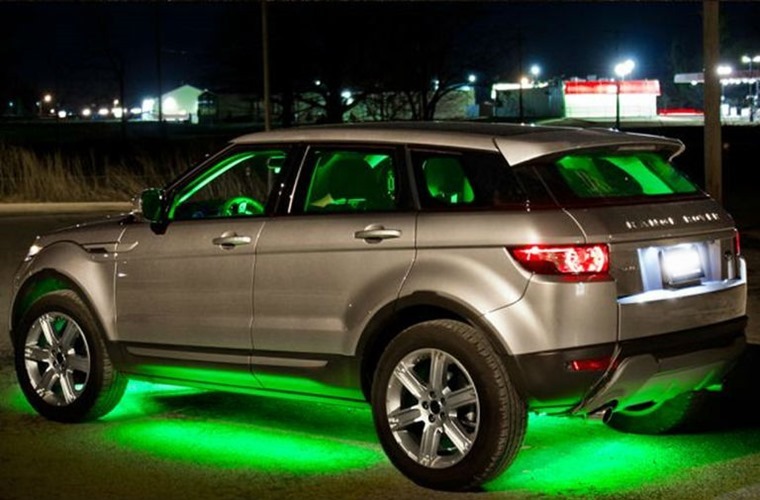 which then puts underbody lighting on a similar level to other obnoxious add-ons. I have no issue with things like spoilers and bodykits as more often than not they are performance-related. 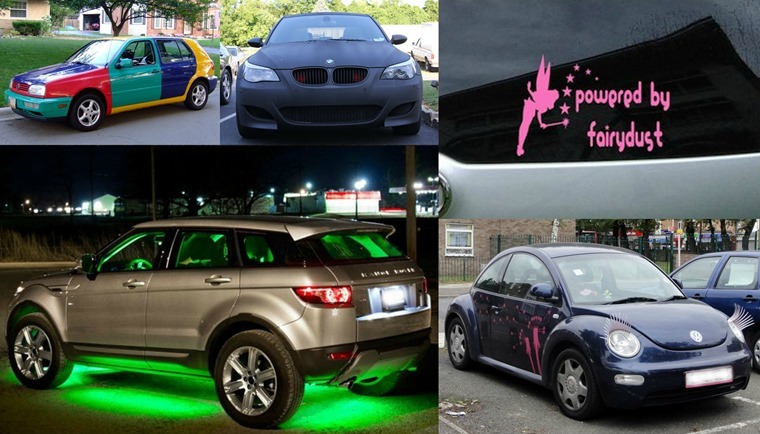 But glowing blue lights under your hot hatch or as the cherry on top of your tacky limo service? Give me a break. Autonomous cars are cool aren’t they? No I don’t mean the current kind with lane detection and emergency braking but actual autonomous cars with personalities. I mean cars like KITT from Knight Rider – a Pontiac Trans Am that’s been pimped so much that even Xzibit would be embarrassed at the fact it has molecular bonded armour, a grappling hook, flamethrower and a turbo boost that can propel it over obstacles. Or Herbie the Love Bug – a Volkswagen Beetle that would regularly perform wheelies, help people fall in love and win races like a boss. 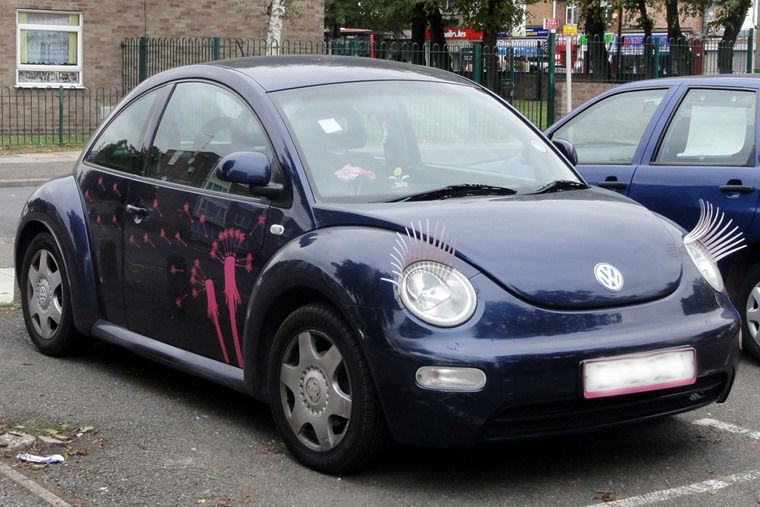 These examples have had such an impact on pop culture that some people have turned to giving their car-headlights eyelashes in the hope it will suddenly bring their 07 Vauxhall Corsa to life like some mysterious incantation. Sadly it won’t, and you are reduced to being the laughing stock of the road with other drivers dismissing you as a dizzy airhead even if you have a Mensa-level IQ. Did we miss off a crime on a car that grinds your gears? Let us know.